Our rooms are partly very individually cut and vary according to the location in the ground plan and the equipment. Only one thing we did not: the boring, standardized 0815 rooms of large hotel chains. For all, however, our colonial-style furnishings with chandeliers, mirrors, thick carpets and noble leather spread a comfortable feel-good atmosphere. So the holiday can start. 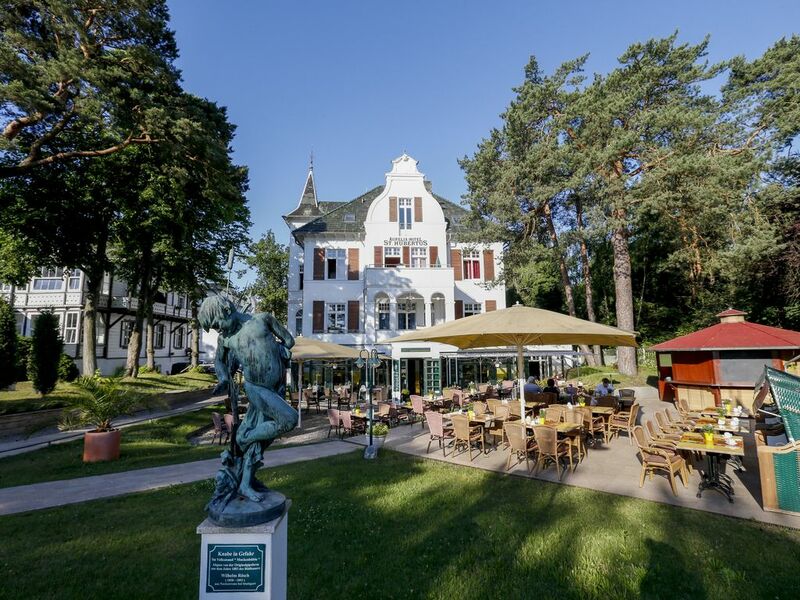 TIP: Stay 5 nights = pay 4 nights Our Aurelia Hotel St. Hubertus is a gem on the Baltic Sea and certainly one of the most beautiful hotels on the island of Usedom. Only a few steps away from the fine sandy beach, it invites you not only to long fun on the beach, but it promises culinary delights of a special kind with our new and inspiring cuisine. Our creative team creates new dishes every month. If you would like to be pampered in the wellness area, you will find a small but fine spa area. Let yourself be pampered with a variety of applications. Tip for families: The Ostsee-Therme Ahlbeck is just a short walk away. If you like it sporty, you can borrow one of our beautiful bikes and explore the island. The best and almost secret tips are available at our reception. In the evening, the bar invites you to have a drink. Whether it is a long drink or a whiskey from our collection, here you will find what connoisseurs like. Use our packages for the most beautiful combinations or let us advise you of your travel plans. We look forward to your visit!